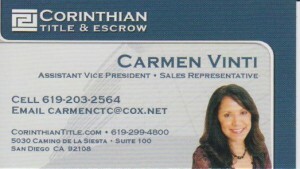 We are the fastest growing title company in San Diego. 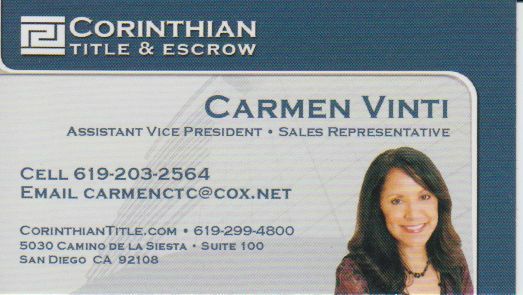 Corinthian Title Company is locally owned and operated in San Diego, California. Currently licensed to issue policies of title insurance in San Diego County, we are the fastest growing title company in San Diego. We have attracted the best title and escrow professionals in the industry and as a result have developed a reputation for providing the very best service and products in the market place.